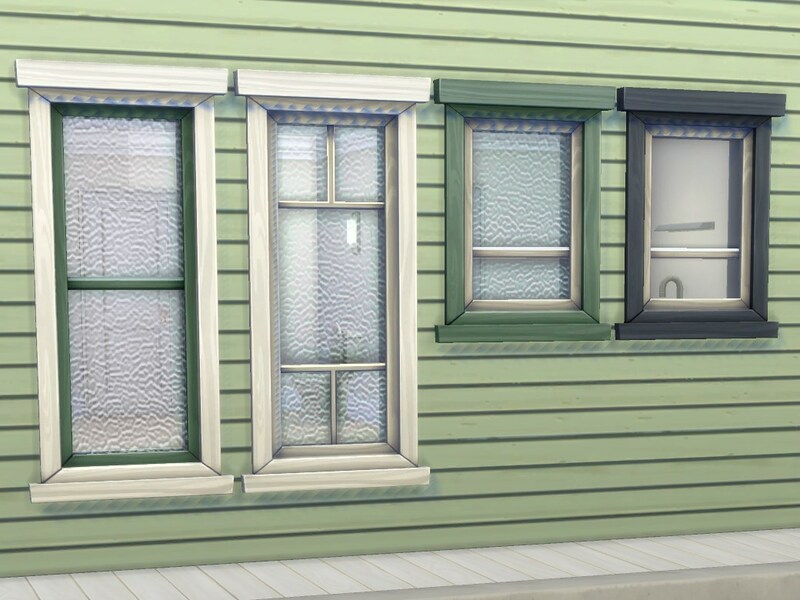 The Maxis “Double Hung” window + three additional sizes with the rolled glass texture from this upload (Queenslander Casement Windows, by Beefysim1). 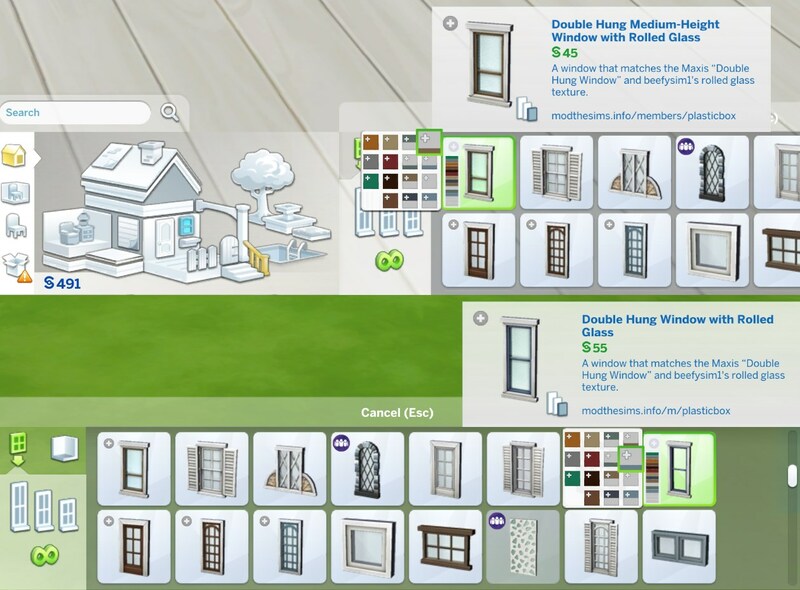 The same windows with the regular Maxis glass are already uploaded here (Double Hung Window Add-Ons). 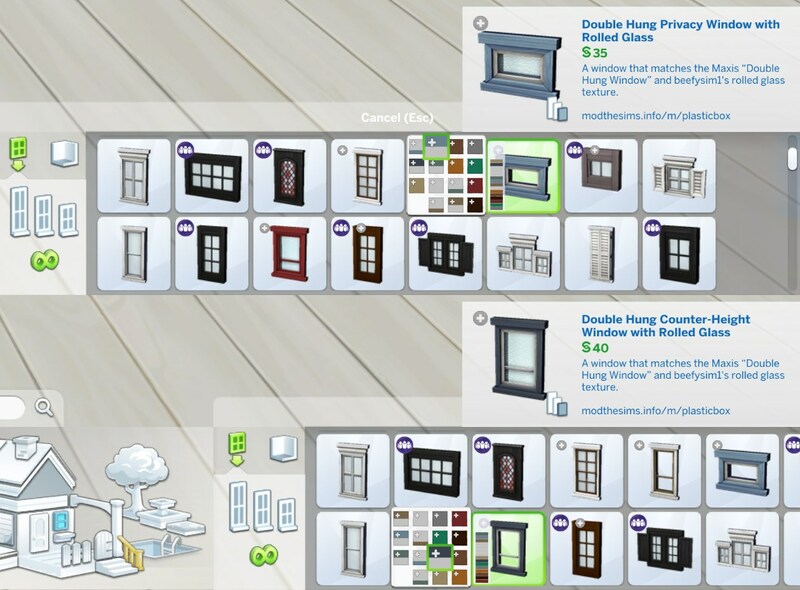 The “Medium” height fits over end tables and desks by default, the counter-height one over counters. 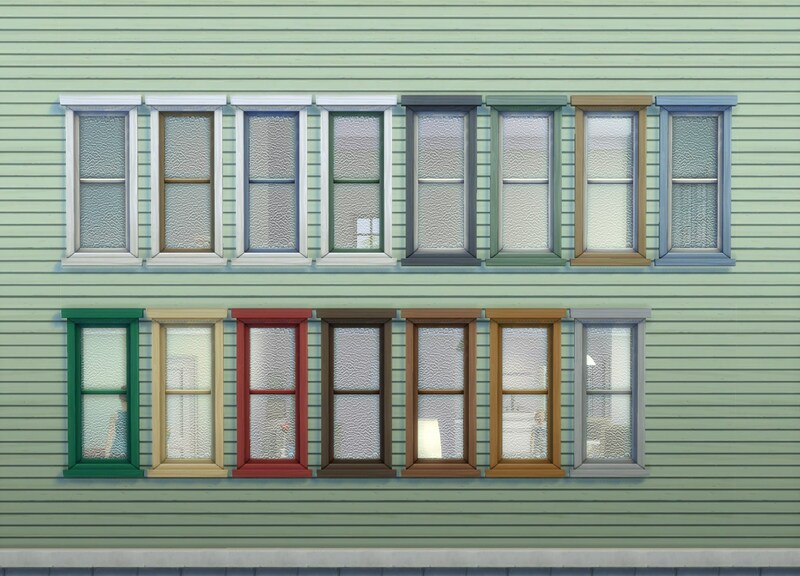 15 colour variants each. 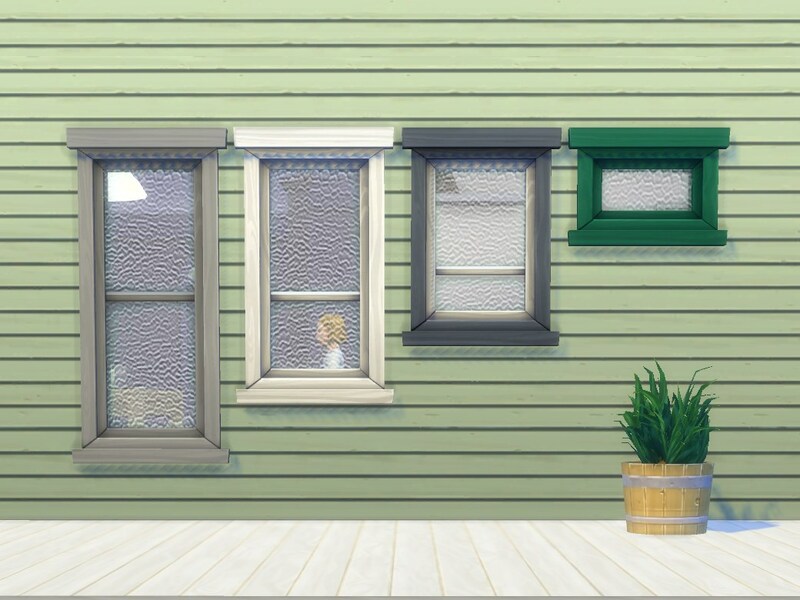 All frame textures are referenced from the game files but not the glass textures -- those are mapped differently than in the beefysim window, so they are all included. Some colour options require GP01 (2014 Holiday patch). 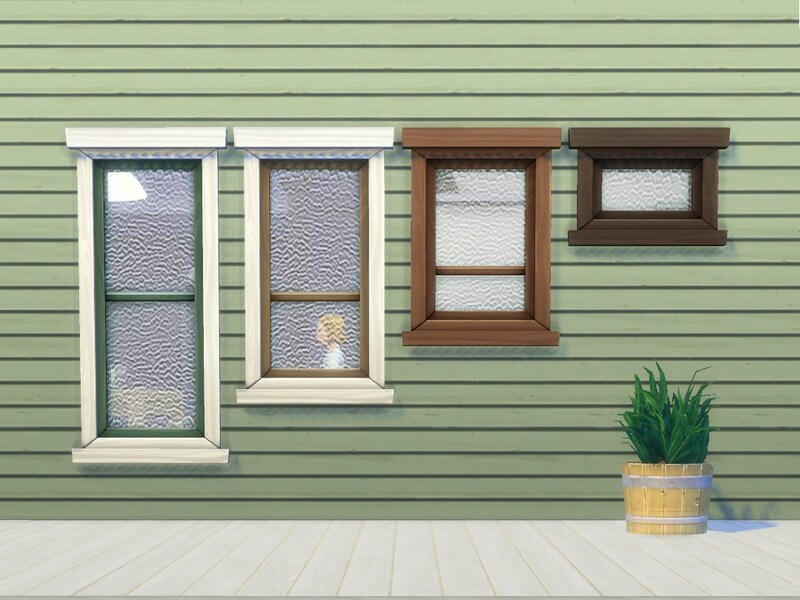 They cost 35§ / 40§ / 45§ / 55§ respectively, 10§ more than the plain-glass windows. 428 people have said thanks to plasticbox for this download.